The voice of "ist" has a very distinct fabric. It arises from and resides in a momentary state consecrating itself to moments of extrem emotionality. Moments usually choked down in instand they come to pass. "ist" allows these sensations to penetrate its consciousness. The common principle of suppression is replaced with the admission whatever lies behind one's inner protective walls. 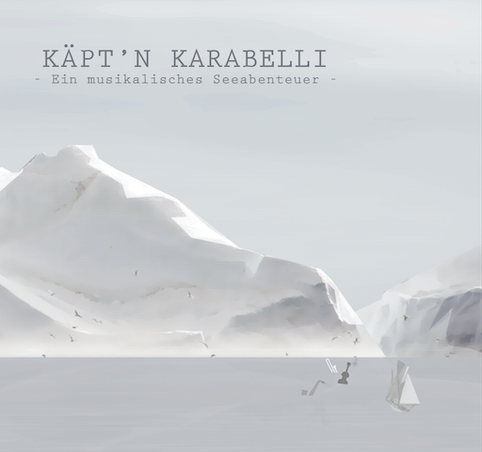 Captain Karabelli is a musical sea adventure for children. The listener is introduced to jazz specific instruments and their sounds. The individual characters (5 sailors) are represented by musical instruments/short recurring melodies. The story is about a seafaring Captain named Karabelli who takes his crew on the long journey to the Arctic Ocean. The following instruments are represented by sailors on board: trumpet, alto saxophone, tenor saxophone, trombone, keyboard. The scenery and the weather are musically represented by a jazz trio consisting of guitar, bass and drums.